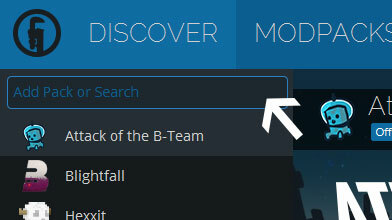 Type in the modpack name ([1.7.10] Magic Reality) or paste the following url into the search box. Finally, click Install at the bottom right of the launcher after you select [1.7.10] Magic Reality from the list on the left. The launcher will handle everything else! This pack contains Biomes O' Plenty and Realistic World Gen, be sure to select one of them when you create a new world! This pack contains Fastcraft, by Player, enabled by default. Fastcraft enhances Minecraft with increased performance.Any bug reports being made directly to Mod Authors should state Fastcraft is enabled. There was once a group of adventurers... Searching for fame and fortune, ready for everything.. But one day, they decided to search an unknown mythical artifact on the heart of a forest, but this wasn't a normal forest, when they entered the forest the sky suddenly became purple, they didn't cared about it and they decided to keep going. The adventurers started to hear whispers saying "Go back.." but they didn't seem to care about it..
After a few hours of walking, the adventurers reached a strange structure, it seemed like a temple, they went inside of it, excited, they though that maybe they found the artifact. After avoiding traps and other challenges, the adventurers reached a chamber with a box on it, they though that the artifact was inside of the box, so they decided to carefully open it, when the adventurers opened it, a strange force threw them inside of it and left them inconcious. When they woke up they were on a strange world, without anything to eat, and alone.. The adventurers checked if it was all a dream.. It wasn't. They were stuck on a strange world, alone, and now it's all about surviving and trying to go back to their world. All the Permissions have been granted by the Modders, the Link's and Credits are on the Permissions & Licensing Tab. This Mod Pack is redesigned and renovated version of the original mod pack "Magic Reality" for the version 1.6.4 of Minecraft, some of the new features that includes this mod pack are: Better Balancing, Optimization, New Challenges, and others. The Mod Pack has multiple gameplay aspects, which allows it to be diverse and a great entertainer. So what does this basically mean? This means that the Mod Pack focuses on creating a fun environment around the user, where there is always something fun to do, either adventuring on the deeps of a mysterious dungeon or a new dimension, or maybe exploring the multiple biomes found in the world. But of course, that's not all. There are Magic dungeons, secret dimensions, strange artifacts, and more stuff that can be discovered using the power of the Magic, and if you don't feel like doing magic-related stuff, there's always machinery. The machinery on this Mod Pack will allow you to make plenty of cool stuff that couldn't be made before! Or you can also combine both Magic and Machinery in order to create mysterious artifacts and constructions that no one has ever seen before- But of course.. Everything has limits, the Mod Pack has been designed so nothing is too overpowered, everything has been balanced using the configs of the Mods. There are also some extra challenges had been added thanks to these configs, some of the mods found on the mod pack make the environment more exciting and difficult, without making it too hard and boring. The Mod pack was also designed to add realism into the game and to not be heavy, the mod pack has been optimized using the configs of some mods and also removing some other mods that came with original 1.6.4 mod pack. 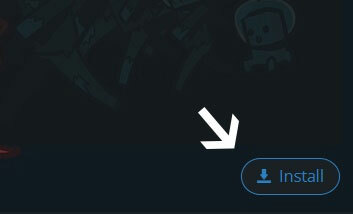 And also remember that we are always looking forward into adding more and more content, so if you have a suggestion of a mod that you think that should be added then please post it on the comment section of the post, every suggestion is noticed! 1. You're accepting that you WILL use the Mod Pack "Magic Reality" under your own responsibility and risk, Zalthrion, the owner is not responsible if anything happens to your game or computer. 2. You're accepting that you WON'T claim the Mod Pack as yours. I hope that you like the Mod Pack, if you got any suggestions or ideas just put them on the comments below, thanks everyone! If you like what i do, then if you want you can support me on Patreon!